One of my most popular pieces, the tri-fold wallet can be made in any finish 3-4oz leather - pictured here in tan, deep brown and black. 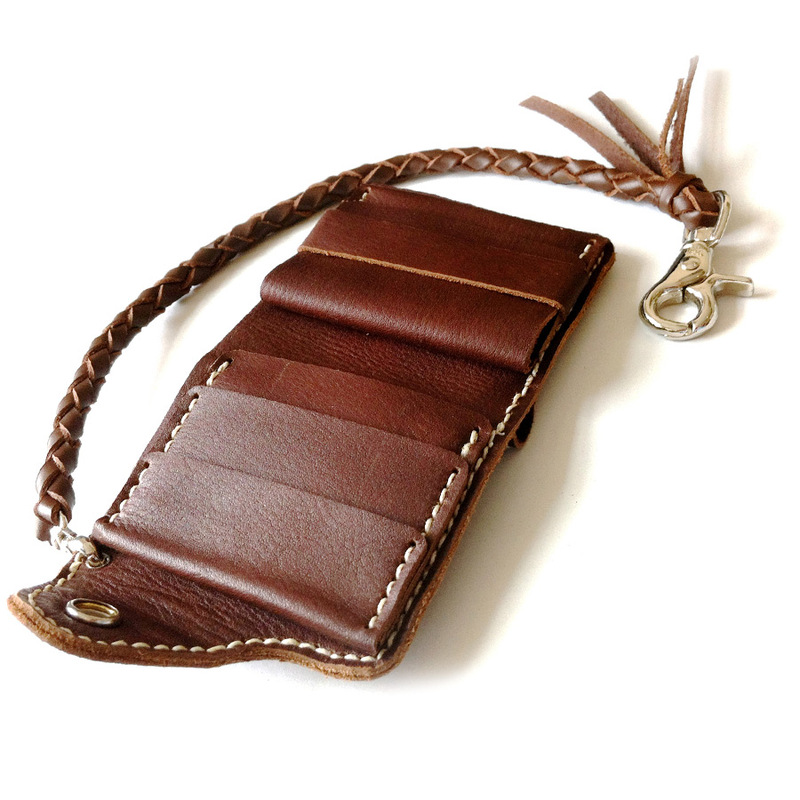 It has a main note compartments and several card slots as well as a flapped coin pouch. 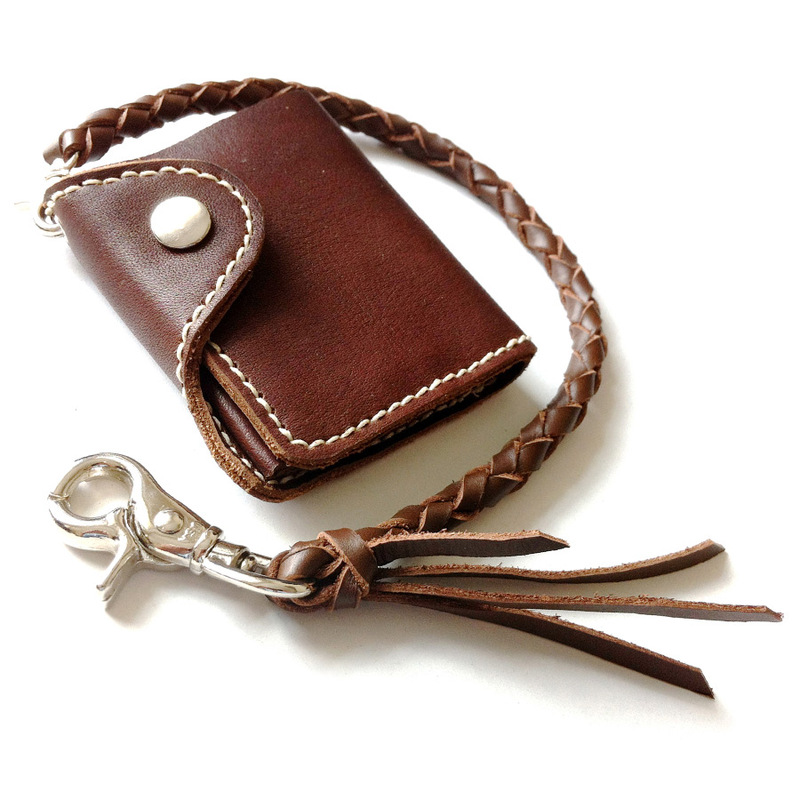 It can also be coupled with the plaited lanyard to complete the set.